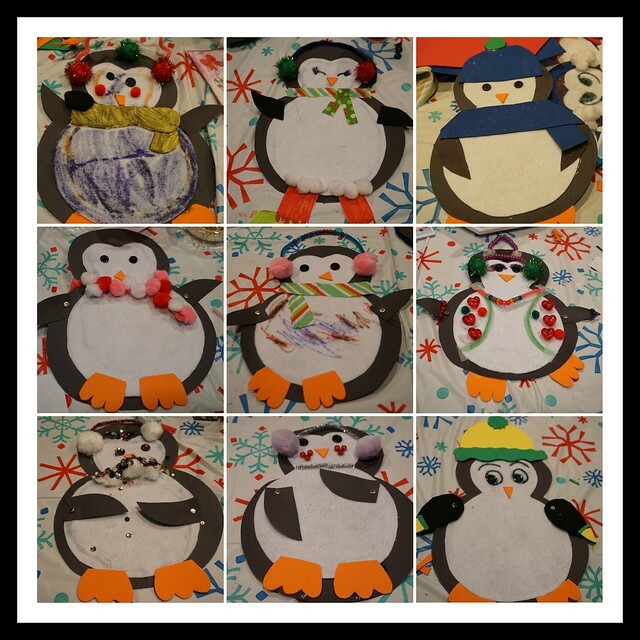 My SURF Club’s last November craft was penguins. This was requested by one of the girls. 🙂 In fact, she made the penguin pictured above. I pre-cut the bodies, bellies, wings, and feet to make it easier for the younger girls. Just like each girl, each penguin is unique. 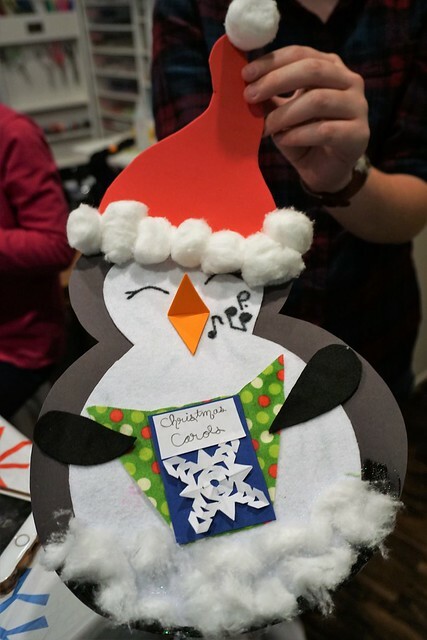 This was a fun craft to transition us to winter and the Christmas season. On Saturday we are having our Christmas craft party and then I’m taking a break from crafting with my girls until January. Also, I’d like you to meet our newest family member, Casper. Casper was rescued by my son outside his workplace, two weeks ago. It was early morning and this wee one was all alone and shivering in the cold. The vet thought he was maybe 6 weeks old at the time. My son took him around to the neighboring homes, but no one claimed him. So we gladly adopted him. 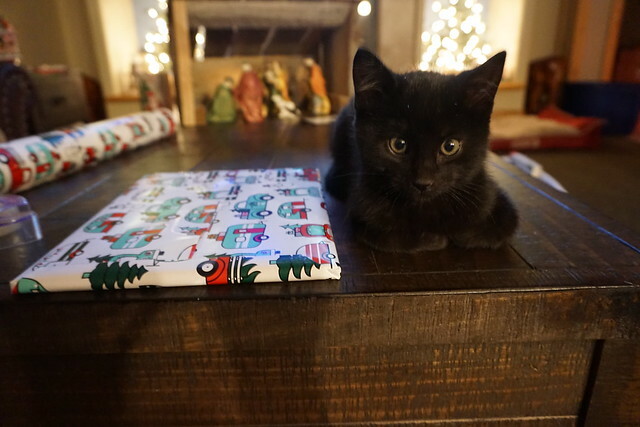 He has added a lot of cheer to our home! He likes to cuddle, play, and be close to us. Adorable!! My girls have been crafting up a storm, and decorating the tree for me. 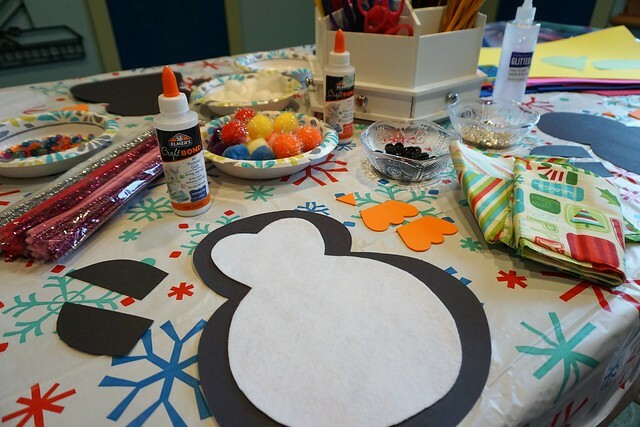 They’d love to do this cute penguin! I like that phrase- crafting up a storm. 🙂 I bet they loved decorating your tree. Casper is adorable! 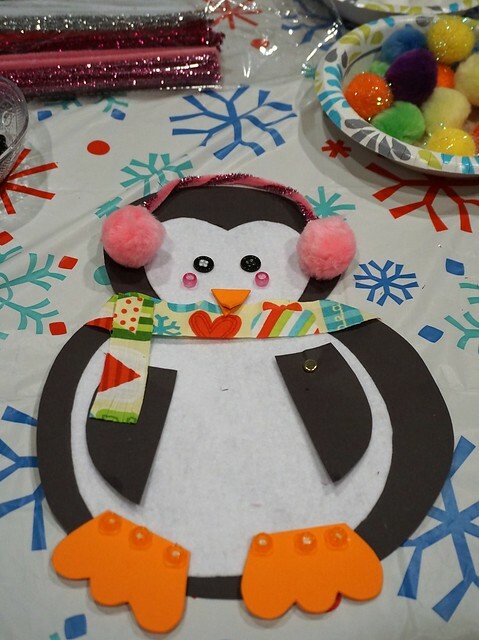 The penguin would be a good “no school today” project for my granddaughter. I need to head to the store for supplies! These are so cute. I like that each girl could make them as individual as they are – what fun!